FEWA is excited about what we have planned for 2019 and want you to be part of it. Whether you’re a current FEWA member, an expert or consultant thinking about joining FEWA, or an attorney or legal professional who uses expert witness services--FEWA is here for you. FEWA is unique; as a non-profit organization, our goal is to provide professional development, ethics, and promotion of forensic consultants in all fields of discipline. Through education, peer-to-peer relationships, certification, and our online directory, FEWA teaches you how to obtain AND be prepared for your next job! Dale Paegelow is one of FEWA’s newest members and has joined the Florida Chapter. Dale is an architect with 50 plus years of education, training, testing and experience. He has extensive training in Fine Art, Interior Design, Architecture, Master Planning and teaches architects, engineers and home inspectors courses for their professional licensing requirements. He understands first-hand as a builder, designer and manager the administrative, physical, and legal issues of design and construction deductive arguments. Dale is very experienced in the technical, hands-on details of the design and construction industries. 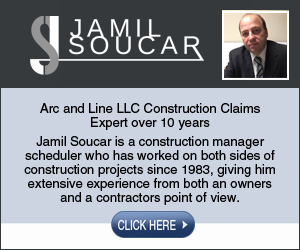 He has worked with and for federal, state, local and private organizations as well as numerous architectural, engineering and legal firms plus many private individuals, and has inspected tens of thousands of buildings of every type as a licensed design professional. 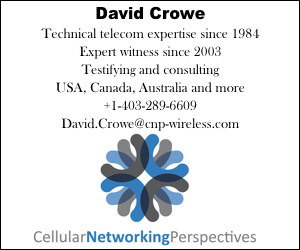 To learn more about Dale, visit his FEWA profile. Please join us in welcoming Dale to FEWA! Member Editorial Contribution - What Does it Mean to be a Forensic Expert? FEWA member, Rudy Robinson, III, MAI, shares his experience in this issue’s Member Editorial Corner. Rudy has over 40 years of experience in real estate and appraisal. Mr. Robinson became a real estate broker in 1971, a member of the Appraisal Institute in 1980, and he founded Austin Valuation Consultants in 1989. Being a social media practitioner allows you to utilize your skill-set in a variety of different ways. The traditional social media career used to include managing a brand account or working at a social strategy agency. However, as social media has expanded throughout all components of business, there are a plethora of ways to implement your knowledge-base. In April, A citizen scientist named Barbara Rae-Venter used a little-known genealogy website called GEDMatch to help investigators find a man they’d been looking for nearly 40 years: The Golden State Killer. In the months since, law enforcement agencies across the country have flocked to the technique, arresting a flurry of more than 20 people tied to some of the most notorious cold cases of the last five decades. At the Portland Police Bureau's North Precinct, Officer Jason Hubert is getting ready to fire a confiscated handgun into a thick metal bullet trap filled a thick sludge called snake oil. He's about to enter a bullet casing into the National Integrated Ballistics Information Network (NIBIN), a nationwide database of high resolution images of shell casings managed by the Bureau of Alcohol, Tobacco, Firearms and Explosives. 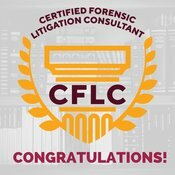 Paul Gentosi of the Orange County Chapter and William Acorn of the Arizona Chapter were granted the professional designation of Certified Forensic Litigation Consultant (CFLC)™. By virtue of their qualifications as a practicing expert witness, they met the minimum criteria required of Certified Forensic Litigation Consultants.